Add a splash of colour to your garden with the Natures Market Poppy Bird Feeder, a decorative painted cast iron feeder dish suitable for all seed mixes. This decorative feeder dish is great for providing seed, suet treats and mealworms or it can also be used as a fresh water source for the birds in your garden. 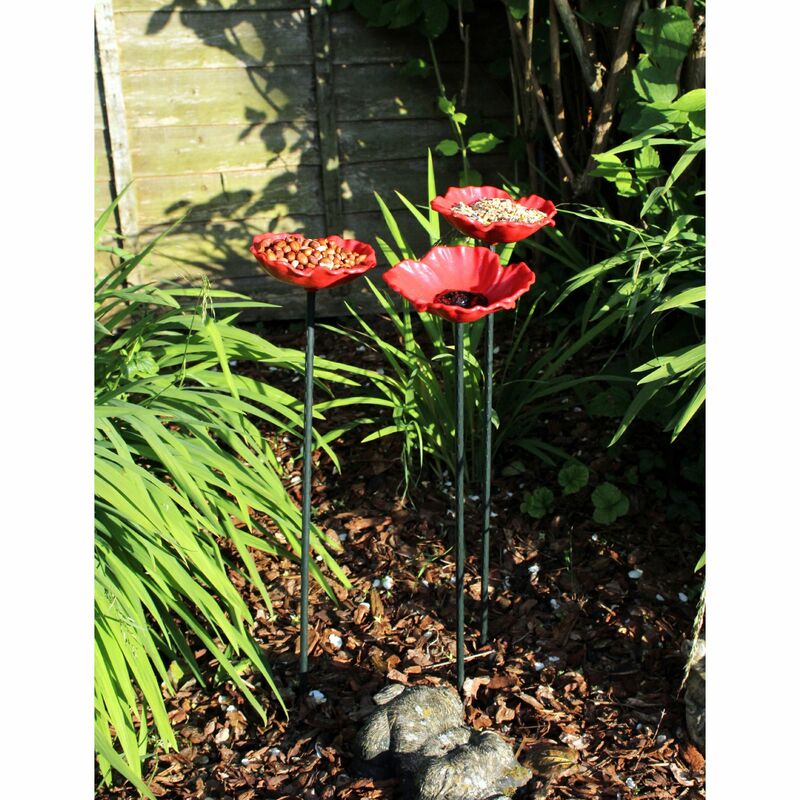 The metal spikes at the base make this quick and easy to position in your borders or lawn. I had some metal poppy feeders many years ago and they were past their best so I ordered these and I couldn’t be more delighted. Super easy to put together and lightweight. The birds seem to approve as I am refilling them with seed frequently! Hope there will be different flower lightweight feeders available soon as they are so lovely.